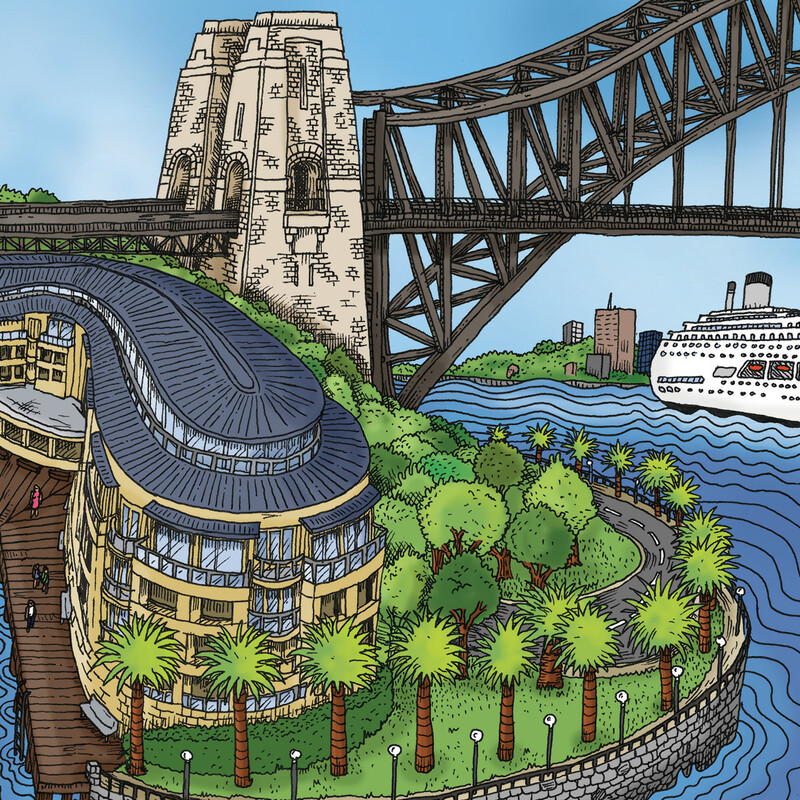 A scroll drawing of the Sydney waterfront. In February 2014 I relocated to live in Sydney, Australia. Whilst in the beautiful and vibrant city I was compelled to pick up my scroll theme again to capture the famous waterfront with the iconic Opera House and Harbour Bridge. The colour version is now finally complete and I'm working to make it available as a printed version.